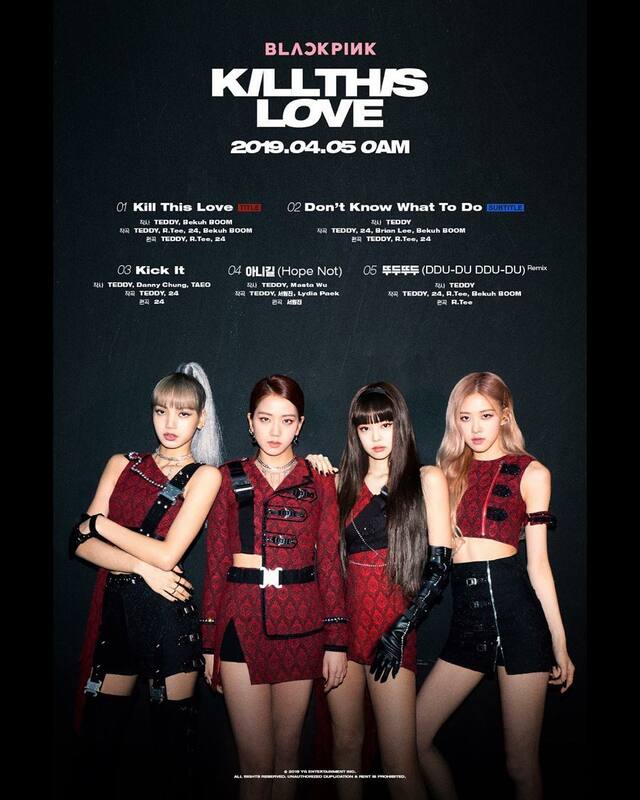 #BLACKPINK will release #KILLTHISLOVE globally at 0AM at the request of Universal Music Group which targets the global market! 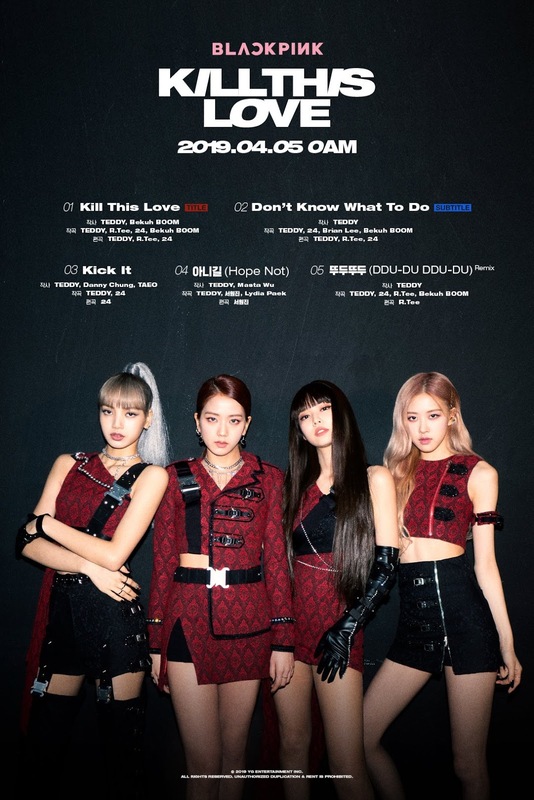 [TRANS] The subtitle track, “Don’t Know What To Do” has a calm and dreamy chorus, and slowly builds up to an explosive drop beat as its climax. The lyrics evoke sadness that listeners will sympathize with. The other tracks, “Kick It” and “Hope Not” show a rich music spectrum.